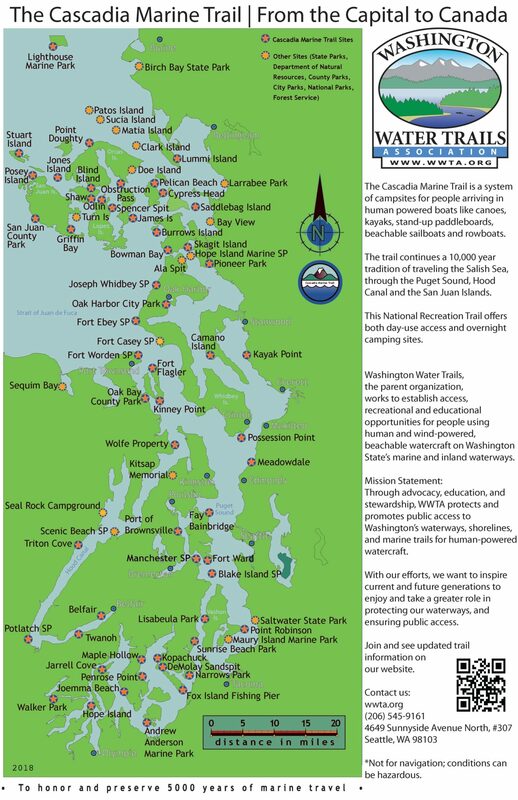 Our New Cascadia Marine Trail Map! We have been working on a new poster-sized map of the Cascadia Marine Trail! We are hoping to mount this at some of our trail sites, along with a container for brochures. Please let us know if you have any feedback. We don’t have room for every put-in and take-out, but most of our sites are represented. See our new poster – here is a JPEG and PDF version. Thank you for asking. The road into Wingehaven needs work so the site can be maintained, so it is “off the chart” for now. We are trying to work with the Vashon Parks department to get it fixed.